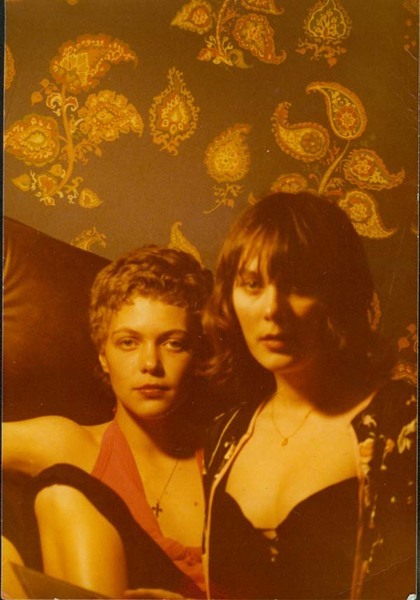 A rare outtake of “Bangkok” single cover shot. Alex in NYC in 1977.
until he left memphis for new york city in early 1977. in the last days of big star he bonded with cris stamey and peter holsapple (later founders of dB’s) who travelled to memphis to meet their heroes alex chilton and chris bell just to find that big star was ready to implode. 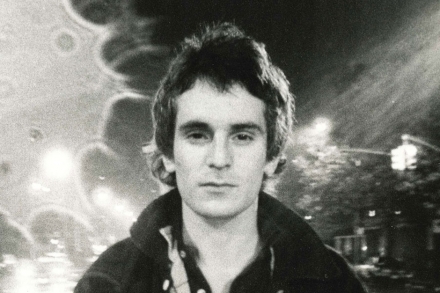 He teamed up with stamey and with richard Lloyd (television) as part-time guitarist and under the name Alex Chilton and the cossacks played several times at CBGB’s. Ork records (the same label who has issued “little Johnny Jewel”, the first Television single) released a great Ep: The Singer not the song, containing the Jagger-Richards penned title-track, “Summertime Blues” by Eddie Cochran and three great, rocking originals. After seeing the Cramps at the forementioned venue, he cut a inspirational, almost perfect single “Bangkok”, backed by a cover of the Seeds classic “I can’T seem to make you mine”, as narrated to the late epic soundtracks in this wonderful interview. 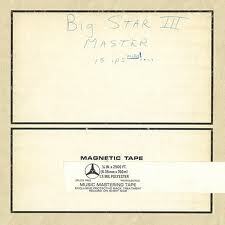 In late 1977 with Jim Dickinson at the controls cut the ragged, lo-fi classic Like Flies on Sherbert, an exercise in fucked-up tempos, microphone pops, out of tune guitars, frenzied vocals and… beautiful tunes, as someone stated, the stubborn deconstruction of the big star myth. 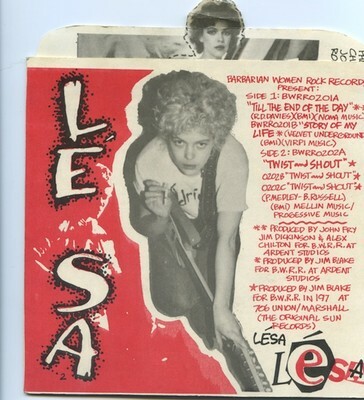 It was released by the tiny Peabody records in 1979 and then by aura records in 1980 with a little different tracklist. 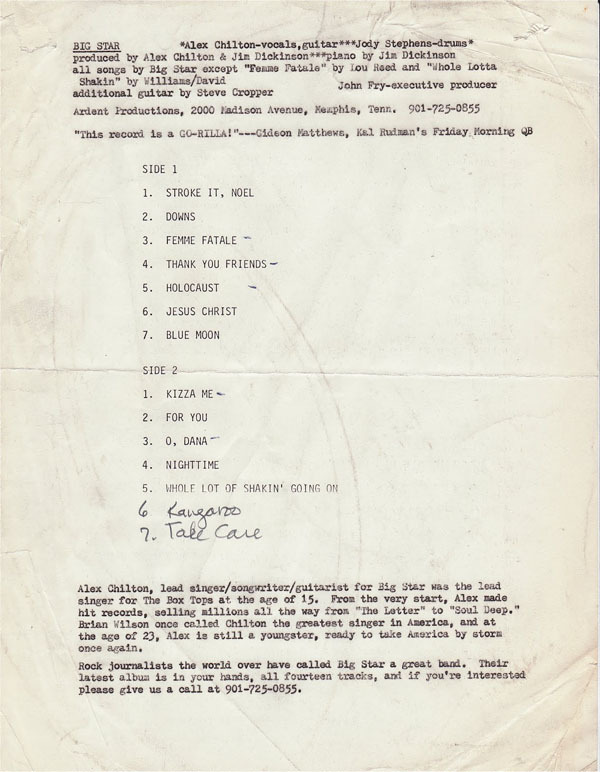 But just before entering the phillips and ardent studio to record Like Flies on Sherbert, alex recorded a bunch of demos for elektra. They are most sedated, polished versions of several songs that would appear on the Flies on Sherbert lp, the missing links between big star and following patchy chilton’s solo career. you can find it here.